Mi Amor (Amor) is a 17.1HH 11 year old bay gelding. He is an imported Czech Warmblood currently showing Jr/AO 1.20m and 1.30m jumper divisions, with the scope to quickly move up to 1.40m and Grand Prix levels. Amor is an easy keeper, always sound, beautiful mover and has a super sweet personality with exceptional ground manners. 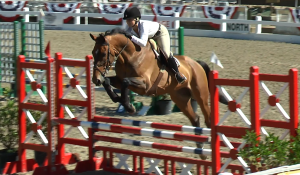 For show record, view USEF #5465089 and MTHJA #2574.